I hope you all had a rocking week!! 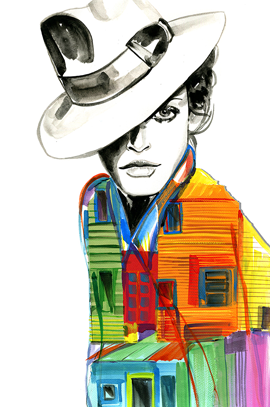 I'm so thrilled to announce that this April I'm partnering with one of my all time favorite fashion brands, the incredible Maiyet, on an illustration series inspired by their SS15 collection. In particular, I'm focusing on three specific artisan techniques that were used throughout the collection, beginning with this stunning traditional Indonesian batik print. Check out all the pieces brought to life with this exquisite fabric here and stay tuned for the remaining two bespoke sketches. 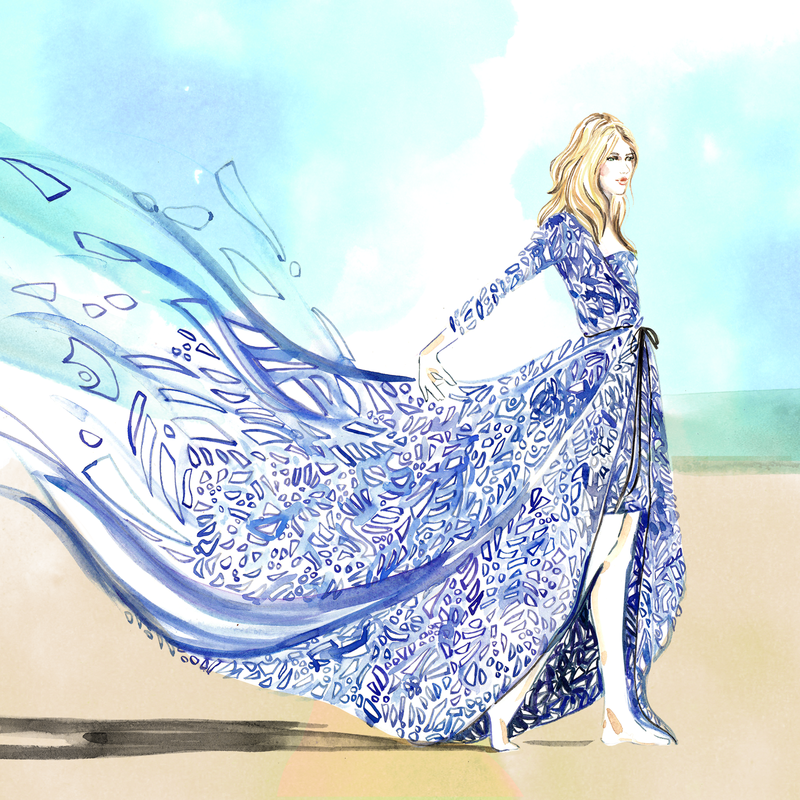 This illustration reminds me somehow of Claudia Schiffer!